FORGET the sales figures. The Levorg deserves better than last place among its Subaru siblings. Launched amid the sports utility vehicle sales frenzy, the Levorg wagon is a multi-talented loner in a world obsessed with high-riders. For those who want space for the family, impressive driving dynamics, brilliant safety features and have the gumption to strut away from the SUV fashion, then cuddle up to this adept all-rounder. When first launched it was only available with the same drivetrain you'll find in the athletic WRX, but recently this GT was added with a less aggressive turbocharged 1.6-litre four-cylinder unit. It also comes with a lower price tag, starting from $35,990 plus on-roads. 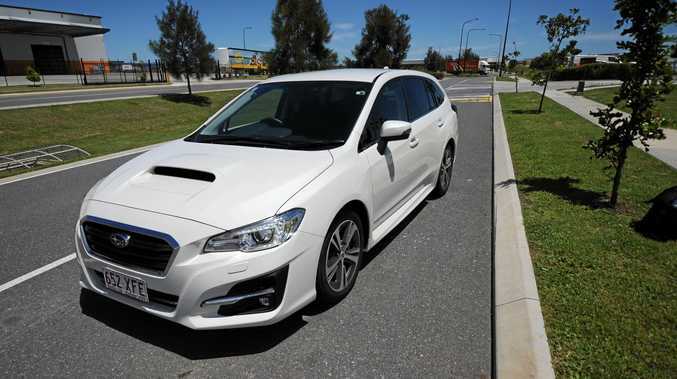 That's $13,150 less than the potent entry-level GT-S.
For those who don't need victory at the drag strip or desire to carve up the carpark at warp speed, this wagon is a bargain. Seeing the cloth-trimmed seats validates its position at the base of the Levorg rungs. Yet the equipment levels are strong, highlighted by a 6.2-inch touchscreen partnered to a six-speaker stereo with full Bluetooth connectivity, CD player (rapidly becoming a rare modern inclusion), 17-inch alloys, keyless entry with push-button start, dual-zone aircon, auto lights and wipers, as well as a brilliant little leather-trimmed steering wheel that feels sporty and great in your hands. Subarus have a fine reputation for longevity, but they only come with a three-year warranty and 12 months of roadside assist. Servicing intervals are short compared to rivals, at six months or 12,500km, with the average price of $381. That's expensive against the opposition. 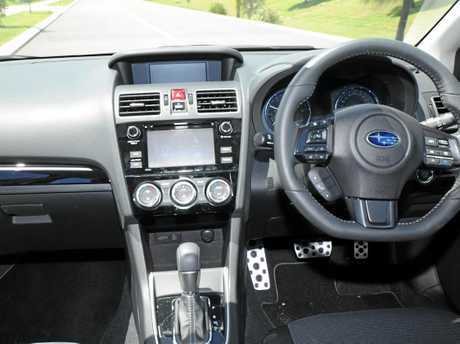 Despite being an entry-level offering, Subaru has thrown its EyeSight suite at the Levorg. It's a good safety kit that is there when you need it most and includes radar cruise control, lane departure and sway warning, lead vehicle start alert, pre-collision braking system and lane-keep assist. Also among the inclusions are a reverse camera, anti-lock brakes with four-wheel discs, dusk-sensing LED headlights that steer the direction you turn the wheel, along with LED daytime running lights. It has a five-star safety rating with a key inclusion of autonomous emergency braking, which can help avoid or lessen the impact of a collision - while it doesn't work in reverse, it does have rear cross-traffic alert which is brilliant when reversing out of tight carparks when you are surrounded by tall SUVs. This is the first time we've seen the 1.6-litre horizontally opposed four-cylinder boxer engine in Australia, which is tuned for comfortable driving more suited to everyday flexibility, economy and refinement. Compared to its bigger sibling, the GT generates 72 less kilowatts. Still, the small unit is an honest worker that feels lithe and responsive. Partnered to a continuously variable transmission (and Subaru is one of the best exponents of this technology), it responds well to linear urges from your right foot. It's not as nimble as its higher-specified siblings, but the trade-off is a ride that is softer, more compliant and likeable for daily duties. That's not to say the performance is wallowy and unrewarding. Far from it. The Levorg offers strong cornering capabilities courtesy of all-wheel drive grip while possessing an air of confidence. 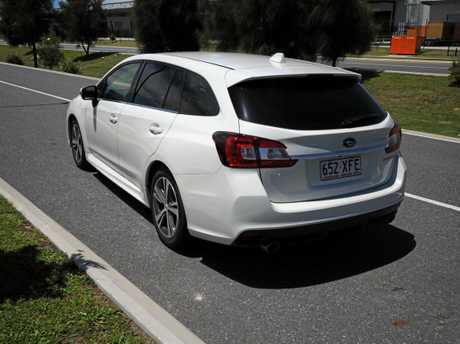 Official figures have the Levorg drinking on average 7.4 litres per 100km, yet a combination of family duties and highway travels returned closer to 8.8L/100km on test. 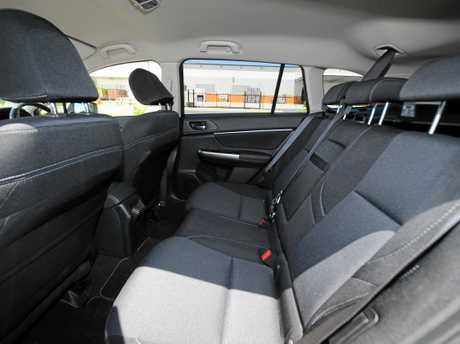 Seats in both rows are relatively flat, particularly in the rear, and those in the back also go without air vents. Look in the back and you'll find a sizable boot space, bolstered by the 40/20/40 split/fold rear seat that has brilliant electric release buttons in the boot. 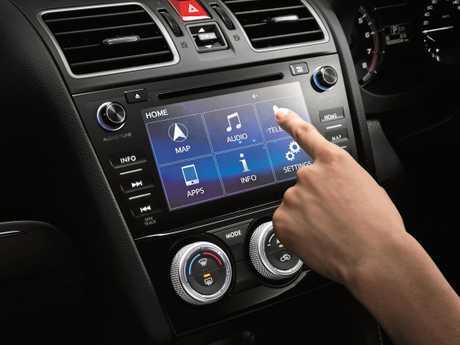 Subaru has improved its infotainment system during recent times, but it is still missing the cool smartphone mirroring apps Apple CarPlay and Android Auto. A lot of buttons across the dash and steering wheel require close initial attention before you become accustomed to the various screens and functionality. There are bottle holders in all four doors as well as two cup holders up front and another pair in the fold-out centre armrest in the back. Good external looks and the steering wheel has an athletic feel, even if it's not the same engine you find in a 'Rex'. Performing better than SUV equivalents in the same price realm, the Levorg is an everyday hero. Essentially an elongated Golf wagon, with a 110kW 1.4-litre/seven-speed auto and front-wheel drive. Drives impressively and comes with nine airbags, radar cruise, automatic emergency braking. Sitting slightly higher than your standard Golf wagon, it also has all-wheel drive and generates 132kW 1.8-litre turbo. It doesn't look as good as the Levorg but possesses better infotainment. Latest Subaru figures have the Levorg lagging behind the XV, Forester and the Outback. It's actually a better performer and more spacious than the Forester. Romance is currently dead for wagons, but those searching for a fun, agile, sporty drive with space for the family will fall in love with the Levorg.